WinX DVD Ripper Platinum 8.8.0 was available as a giveaway on April 17, 2018! How would you improve WinX DVD Ripper Platinum 8.8.0? Fast download video or music from Facebook and other 300+ sites for video editing or playback on mobile. Auto detect video URL, analyze resolution, format and size, and save the content in MP4, MP3, FLV or WebM. 100% free, clean and safe. Thank you for choosing WinX DVD Ripper Platinum which is aimed to meet user's up-to-date DVD converting and backup demands. To activate the full functions of this program, you need to input your valid email as Licensed Email and activate giveaway license before Apr.20. The giveaway version does not support free upgrade. If failed to unzip and install the file from GOTD, you can also re-download the setup file from Digiarty official website. WinX provides 60% off discount for GOTD users only. Purchase now at $24.95 with Lifetime Free Upgrade! The lowest price you can find. Hi I downloaded the application but now when I try to install it. The application says the give away period is over. However, when I received the Licence key for this one it said the application can be activated before April 20. Is there something that I am missing? Can someone please help? Thank you! I've used this older giveaway version for months and my experience with it is good. Installed and activated it immediately on Win 7 x 64 bit again. Just tried it with a 1 hour 24 minute DVD with hardware accelerators on (you'll see these options Intel/NVIDIA in this software). It digitized my favorite section (ripping the entire content is possible too) to an. mp4 with h.264 & aac codecs. Probably 40 seconds or less and Max. 329 FPS for a 10-minute video if utilizing Intel HD Graphics 4600 & NVIDIA GTX650 on my PC. Does this tech relieve the CPU burden? I think yes. The highest CPU usage is just 38% during the conversion. I was running other programs too. Everything went smoothly. This is a steady and fast DVD ripper software. Thanks GOTD and Winx. I've used this older giveaway version for months and my experience with it is good. Installed and activated it immediately on Win 7 x 64 bit again. Just tried it with a 1 hour 24 minute DVD with hardware accelerators on (you'll see these options Intel/NVIDIA in this software). It digitized my favorite section (ripping the entire content is possible too) to an. mp4 with h.264 & aac codecs. Probably 40 seconds or less and Max. 329 FPS for a 10-minute video if utilizing Intel HD Graphics 4600 & NVIDIA GTX650 on my PC. Does this tech relieve the CPU burden? I think yes. The highest CPU usage is just 38% during the conversion. I was running other programs too. Everything went smoothly. This is a steady and fast DVD ripper software. Thanks GOTD and Winx. Is this GAoTD a lifetime license for WinX DVD Ripper? The BONUS comment gives me the impression it is not. Is this GAoTD a lifetime license for WinX DVD Ripper? The BONUS comment gives me the impression it is not. bromberg, It's a giveaway license. The software activated by giveaway license works the same as full version. But it won't let you free upgrade. Thanks for your reply BUT you didn't answer my question. Some giveaway licenses are for 6 months. So once again, is this a lifetime 'giveaway' license? Digiarty Support Team, Thanks for your reply BUT you didn't answer my question. Some giveaway licenses are for 6 months. So once again, is this a lifetime 'giveaway' license? Makes sense and I agree, but GAoTD should be as clear as they have been in the past with the license duration...thnx. Too bad the offer has expired. Tony77, Makes sense and I agree, but GAoTD should be as clear as they have been in the past with the license duration...thnx. Too bad the offer has expired. My PC was bought 3 years ago and the configuration is low-end. I tried a lot of DVD rippers and they all ran slowly and sometime even crashed during conversion. But this DVD ripper seems very friendly to my old PC. I just optioned the Intel hardware acceleration and find it only took 9 minutes to make a backup of my Star Wars DVD, that's unbelievable!!! I'm also pleased the output quality is original with intact audio tracks and subtitles. Some people say DVD is "dead", but thanks WinX for saving them before they're gone forever. My PC was bought 3 years ago and the configuration is low-end. I tried a lot of DVD rippers and they all ran slowly and sometime even crashed during conversion. But this DVD ripper seems very friendly to my old PC. I just optioned the Intel hardware acceleration and find it only took 9 minutes to make a backup of my Star Wars DVD, that's unbelievable!!! I'm also pleased the output quality is original with intact audio tracks and subtitles. Some people say DVD is "dead", but thanks WinX for saving them before they're gone forever. What a refreshing change. Lots of positive comments for the software (Digitary makes good stuff). No major installation problems (almost unheard of on this site). No bickering among commenters. Again, what a refreshing change! Seems to install fine on my old win XP laptop. Seems to install fine on my old win XP laptop. cheers. Does it also covert TO DVD from the different formats? That's what I'm looking for. Had it long ago but tried to download the latest version - no dice - got email link but CLICK on the LINK but it will NOT WORK. Tried several times, no luck.......curious HOW can I get it .......?????? Had it long ago but tried to download the latest version - no dice - got email link but CLICK on the LINK but it will NOT WORK. Tried several times, no luck.......curious HOW can I get it .......?????? I've used other WinX products for years and find them very useful and reliable. To answer a previous comment, the WinX giveaways do not expire. Thanks WinX and GOTD for today's giveaway. I believe I bought a Lifetime license last year, but the website says it's only a giveaway license. Is this actually correct? Chet Cox, I got another key from Digarty itself. Haven't used one for the past 5 to 7 years. Downloaded previous version of this program, yet to use it. What is a DVD. Haven't used one for the past 5 to 7 years. Downloaded previous version of this program, yet to use it. Japan is the best country to be in if you're in the DVD business. :))) Agree? Successfully installed only after completely disabling AVG on Win 8. This is a good software. It may be past its era. Like selling a very good film camera in 2018, the age of digital cameras. 1) Do people still buy music/song/video DVDs nowadays? 2) This is age of streaming content, age of Spotify and Netflix. 3) Do people still bother to rip their DVDs nowadays? This is a good software. It may be past its era. Like selling a very good film camera in 2018, the age of digital cameras. However my questions are: 1) Do people still buy music/song/video DVDs nowadays? 2) This is age of streaming content, age of Spotify and Netflix. 3) Do people still bother to rip their DVDs nowadays? "Do people still buy music/song/video DVDs nowadays?" Apparently... Best Buy lists 593 different DVDs, & 621 different music CDs available for pickup. "Do people still bother to rip their DVDs nowadays?" Probably... With apologies to anyone unintentionally offended, picture quality doesn't matter to those buying DVDs [for almost the same price as Blu-ray] to watch on their HDTVs, so the unavoidable reduction in quality from converting [ripping] those DVDs to another format wouldn't bother them either. "This is age of streaming content, age of Spotify and Netflix." Not to mention Amazon, Vudu, Hulu etc., along with most every US cable & broadcast network, & that's just for video. Amazon & Netflix are both spending billions on original content, confident their many millions of viewers will only grow in number. ricohflex, <i>"Do people still buy music/song/video DVDs nowadays? "</i> Apparently... Best Buy lists 593 different DVDs, & 621 different music CDs available for pickup. <i>"Do people still bother to rip their DVDs nowadays? "</i> Probably... With apologies to anyone unintentionally offended, picture quality doesn't matter to those buying DVDs [for almost the same price as Blu-ray] to watch on their HDTVs, so the unavoidable reduction in quality from converting [ripping] those DVDs to another format wouldn't bother them either. <i>"This is age of streaming content, age of Spotify and Netflix. "</i> Not to mention Amazon, Vudu, Hulu etc., along with most every US cable & broadcast network, & that's just for video. Amazon & Netflix are both spending billions on original content, confident their many millions of viewers will only grow in number. As a person who has an extensive DVD library as well as family members that have literally thousands of DVDs, both cinematic and TV, your limited viewpoint doesnt wash with the hundreds of thousands, even millions, out there like me that still utilize their DVDs. Why do they still sell DVDs and players in all the stores? Because the market is there. 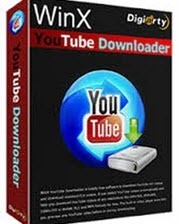 I personally use WinX DVD Ripper to convert my DVDs as needed to digital format to put on my media server, which I then use to broadcast to all of my TVs, Phones, Tablets & computers. I like to OWN my content, not just stream it from someone else's website. And I am an Amazon Prime member, so if there is something I dont have and dont want to purchase, I do stream and watch it that way. I prefere anything i can have in hand over cloud as you have more rights on a dvd/blu-ray than over cloud and it also more secure its sad to see how no offense stupid people are these days sending everything to the "clouds"
Yes the age of streaming taking away content of movies, parts of movies without people knowledge because no one cares. ricohflex, Yes they do, if only to prevent your favorite program from becoming an "unperson' and arbitrarily being erased from some streaming company's library list. At one stage years ago Netflix's library titles dropped by about a third over the course of 12 months. Then again if you have Netfix in one country you'll have access to a limited range of titles compared with Netflix in the US or Great Britain because the studios have imposed geoblocking licensing restrictions. You're also assuming that everyone has a Gigabit internet with unlimited downloads so that they can get media at any time with no cost. ricohflex, Yes they do, if only to prevent your favorite program from becoming an "unperson' and arbitrarily being erased from some streaming company's library list. At one stage years ago Netflix's library titles dropped by about a third over the course of 12 months. Then again if you have Netfix in one country you'll have access to a limited range of titles compared with Netflix in the US or Great Britain because the studios have imposed geoblocking licensing restrictions. You're also assuming that everyone has a Gigabit internet with unlimited downloads so that they can get media at any time with no cost. I have a home cinema and 7.2 surround sound system. I still buy all my movies on Blu ray. Watching movies is a pleasure compared to the poor quality video and sound you get from Netflix and other places. ricohflex, I have a home cinema and 7.2 surround sound system. I still buy all my movies on Blu ray. Watching movies is a pleasure compared to the poor quality video and sound you get from Netflix and other places. I get hundreds of ( often rare and public domain ) DVDs from my local libraries every week. I polish them, remove the scratches, make them like new, copy them to hard drive, and return them the next day for everyone else to enjoy as new once again. ANY software that helps, speeds that up, makes useful yet smaller files, is a blessing.
. [ @ricohflex ], One word: LIBRARY I get hundreds of ( often rare and public domain ) DVDs from my local libraries every week. I polish them, remove the scratches, make them like new, copy them to hard drive, and return them the next day for everyone else to enjoy as new once again. ANY software that helps, speeds that up, makes useful yet smaller files, is a blessing. . I've got a bunch of DVD's with separate episodes which I want to RIP. Thanks for this great software to help me protect my DVD library. It worth every cent if it’s like WinXDVD. I used it to the "DVD Video Copy" (MPG2+DTS), and the speeds were much faster - probably between 8-12 minutes for a 90 minute DVD. Problem with WinX DVD Ripper Platinum 8.8. Our 2.21 hour movie is taking way longer to rip using WinX DVD Ripper Platinum 8.8. Like two hours longer.!! Waiting to hear back from support on this problem. Problem with WinX DVD Ripper Platinum 8.8. Our 2.21 hour movie is taking way longer to rip using WinX DVD Ripper Platinum 8.8. Like two hours longer.!! Waiting to hear back from support on this problem. I paid for this and worth every penny. get it while you can. Where do I input my email so I can activate this? Also I installed the software, butcan not find it on the computer! Actually, it does not appear to have actually installed, it just goes to the successfully activated GOTD window. I still don't get anything to install it. I usually have no issues! ack! Okay, I ended up having to go to the vendor site and downloaded it from there and got the actual installation. All fixed!! Question : Can this software deal with region code difference, encryption schemes like Disney's Fake, Sony ARcCOS and others, when backing up originals ? Or is other software required to do that ? Question : Can this software deal with region code difference, encryption schemes like Disney's Fake, Sony ARcCOS and others, when backing up originals ? Or is other software required to do that ? Louis, yes, it works. The feature I used is the DVD copy, all the info remained. Saj , Thanks, I have some (expensive) commercial and other dvd's that I know have copy protection on it. As it's valuable, I need to make backups -- their website wasn't too clear re the difference between their DVDRipper and DVDCopy programs, but you've answered that question, much appreciated. Downloaded and installed with no problems on Windows 10 running Avast. I haven't tested it yet, but the interface is super clean and looks very easy to use. Thanks GOTD and Digiarty! Install immediately stops working although I did enjoy erasing every possible cookie from my pc. Who has anything else to do? Thanks GOTD!! Some years ago I downloaded an earlier version DVD Ripper Platinum from GOTD, tried it, liked it, and bought a two-computer license for WinX's DVD Ripper Platinum, Copy Pro, and Video Converter. I think it was about USD39. It was worth it, the software does what it says it will do. The only inquiry I ever had, a non-problem inquiry, was answered quickly and succinctly. I have been using the last version of this program since last year's giveaway and I love the great look of the mp4 videos. I put them on USB drives and my TV upgrades the video to HD. Thanks GOTD for working so hard to give us poor people (I'm disabled) a way to get quality working software with the safety factor of no viruses. Installed and ran with no problems. Follow the instructions exactly, it is worth it. I love WinX products. Thanks for offering this ripper. So... Does this "expire" after a year, or does it remain fully functional? Downloaded, Installed and Activated with no problems on my Win10x64 machine using Edge as my browser. This is a very good piece of software. Excellent in many ways. Many pre-sets for devices though I must admit I didn't even look at them closely. I travel in my work and rip my DVD's to a .Ts file so I can watch on the road. Anyway, this is one of the fastest rippers I've ever used and the rip quality is outstanding! It has a DVD clone function which is what I need and that many of these kind of programs lack. About half the DVD's I rip are T.V. series and WinX DVD Ripper gets them perfectly. Well, lol, at least the first one I tried did so I'm assuming it will be just as good with the rest. Have another being worked on as we speak and if it is any less in either quality or speed I'll let you know. I have both Intel and Nvidia GPUs in this machine will it use both GPU's in parallel to maximise decoding efficiency or does it do a benchmark to determine which is the fastest and use that or does it just give a preprogrammed prefernce to one or the other based upon known coding strengths or weaknesses of the particular GPU acceleration technologies? It would be rare to utilize both GPUs, & then the Nvidia would be predominant, with the Intel GPU barely making a contribution. When/where I have gotten that sort of thing to work, I've used software that used Direct Show, setting the decoding to use Intel, encoding to a different format using the graphics card. That said, you'd probably want to try it with GPU assist on/off, assuming the usual checkboxes are there, & if it gives you a choice of Intel or Nvidia, try it both ways. TK, It would be rare to utilize both GPUs, & then the Nvidia would be predominant, with the Intel GPU barely making a contribution. When/where I have gotten that sort of thing to work, I've used software that used Direct Show, setting the decoding to use Intel, encoding to a different format using the graphics card. That said, you'd probably want to try it with GPU assist on/off, assuming the usual checkboxes are there, & if it gives you a choice of Intel or Nvidia, try it both ways. TK, or is it a secret? I had the same question recently about whether one or both (Intel/nVidia) are used for Machine encoding on the WinX HD Converter Deluxe program installed on a computer I am building. Even though it is not the exact same program as the Ripper, I am pretty sure the Machine Encoding works the same way on both. Both programs have the same general layout, along with the option to check the box next to Intel and or nVidia for Hardware Encoder. The big difference between the two programs is what the user can select as input. The ripper only allows selecting a DVD drive, an ISO file, or a folder, but not an individual file. The HD Converter allows the user to select an individual file for input (cannot select a DVD, ISO, or folder). I do have both programs installed, and in each, when the program starts, it has both Intel and nVidia already checked. To me that suggests the program is using both. I decided to do some tests with both checked, only Intel checked, only nVidia checked, and neither checked, then once more with both checked. The source file was a 15:35 mp4 video at 1166x652, and the output was to convert it to the 2k mp4 output (1560x1440). For the 2k profile, the user can select higher or lower quality settings, with the default being in the middle. I left it at the default for all tests. In the main interface, I checked the "Use High Quality Engine" box. Using a stop watch, I timed the tests. At the end of each run, I renamed the output file with the machine encoding options and the timed results. I considered removing the output file each time with the idea that the disk would have the exact same space available for each run, but finally decided against doing that. The output disk had plenty of space, plus my automatic defrag runs any time the machine has been quite for a while, and it had been sitting idle for about 3 hours just prior to the tests. Removing the output file each time could have introduced disk blocks that were fragmented, although that would be a minor consideration. Instead, letting the new output files be created on new space seemed like a fair enough test. The graphics is all on the motherboard (no added graphics card). I have a 1080 Graphics card to put into the computer, but it will depend on some other things before I do that. Also, the computer has 16G of DDR4 RAM, but one 8G strip was out at the time of the tests. The motherboard is an ASUS ROG MAXIMUS Extreme VIII with i7 6400 processor (all standard, no overclocking). What I had not expected is that the nVidia would take longer than without either checked. Also, the CPU fan really spins up for the nVidia test, but it does not for the Intel test, nor when both are checked. That would suggest that the nVidia is not used when both are checked, but still the shortest time is when both are checked, so maybe it is used in a slightly different way when both are checked. Conclusion: I think it uses both. I would like to see how a similar set of tests works out for others. On both programs, there is an i next to the Machine Encoder choices, implying information, but hovering the mouse over the i does not reveal anything. In the HD Converter Deluxe, there is also an i next to the Auto Copy item. Hovering the mouse over that i gives a short hover tip. I am not sure why the one for Machine Encoder does not do the same. There are no other bits of wisdom regarding the checkboxes on that page. 1 Enable "CPU Core Use" or "Hardware Accelerator" box to process DVD ripping faster. TK, I had the same question recently about whether one or both (Intel/nVidia) are used for Machine encoding on the WinX HD Converter Deluxe program installed on a computer I am building. Even though it is not the exact same program as the Ripper, I am pretty sure the Machine Encoding works the same way on both. Both programs have the same general layout, along with the option to check the box next to Intel and or nVidia for Hardware Encoder. The big difference between the two programs is what the user can select as input. The ripper only allows selecting a DVD drive, an ISO file, or a folder, but not an individual file. The HD Converter allows the user to select an individual file for input (cannot select a DVD, ISO, or folder). I do have both programs installed, and in each, when the program starts, it has both Intel and nVidia already checked. To me that suggests the program is using both. I decided to do some tests with both checked, only Intel checked, only nVidia checked, and neither checked, then once more with both checked. The source file was a 15:35 mp4 video at 1166x652, and the output was to convert it to the 2k mp4 output (1560x1440). For the 2k profile, the user can select higher or lower quality settings, with the default being in the middle. I left it at the default for all tests. In the main interface, I checked the "Use High Quality Engine" box. Using a stop watch, I timed the tests. At the end of each run, I renamed the output file with the machine encoding options and the timed results. I considered removing the output file each time with the idea that the disk would have the exact same space available for each run, but finally decided against doing that. The output disk had plenty of space, plus my automatic defrag runs any time the machine has been quite for a while, and it had been sitting idle for about 3 hours just prior to the tests. Removing the output file each time could have introduced disk blocks that were fragmented, although that would be a minor consideration. Instead, letting the new output files be created on new space seemed like a fair enough test. The graphics is all on the motherboard (no added graphics card). I have a 1080 Graphics card to put into the computer, but it will depend on some other things before I do that. Also, the computer has 16G of DDR4 RAM, but one 8G strip was out at the time of the tests. The motherboard is an ASUS ROG MAXIMUS Extreme VIII with i7 6400 processor (all standard, no overclocking). The Results Time to encode: 5:11.47 Neither Intel nor nVidia checked 7:28.39 nVidia only checked 3:32.24 Intel only checked 2:15.36 Both Intel and nVidia checked (2nd test varied only in the fractional part) What I had not expected is that the nVidia would take longer than without either checked. Also, the CPU fan really spins up for the nVidia test, but it does not for the Intel test, nor when both are checked. That would suggest that the nVidia is not used when both are checked, but still the shortest time is when both are checked, so maybe it is used in a slightly different way when both are checked. Conclusion: I think it uses both. I would like to see how a similar set of tests works out for others. Other Notes: On both programs, there is an i next to the Machine Encoder choices, implying information, but hovering the mouse over the i does not reveal anything. In the HD Converter Deluxe, there is also an i next to the Auto Copy item. Hovering the mouse over that i gives a short hover tip. I am not sure why the one for Machine Encoder does not do the same. The on-line help section for the Converter at https://www.winxdvd.com/help/how-to-use-hd-video-converter-deluxe.htm#to2 has a section titled "Other useful tips" It shows: 1 Enable "Intel" or "nVIDIA" accordingly to improve the video converting speed. There are no other bits of wisdom regarding the checkboxes on that page. The "Other useful tips" for the Ripper (https://www.winxdvd.com/help/how-to-use-dvd-ripper-platinum.htm) does not mention specifically Intel or nVidia. Instead, it states: 1 Enable "CPU Core Use" or "Hardware Accelerator" box to process DVD ripping faster. The 2k profile should have said 2560x1440 (not 1560x1440). Oops, typo warning: The 2k profile should have said 2560x1440 (not 1560x1440). Just to confirm - this version will not work on Windows XP ? Bob, It works well on my father's computer in Windows XP. Extremely helpful to convert some older DVD's into files. No problems during installation on my Win10 PC and activated it without any issues. I'm an old user of GOTD and has been the fan of this DVD ripper since I got the giveaway version of 8.5.0 last year - quite a handy tool for digitizing my DVD collections. Thanks GOTD I could use the newest version! Look forward to its new features!